Through dedication, professionalism and innovation, the employees of Chem-Tech Solutions will consistently provide dependable, courteous and friendly service to all customers with a commitment to the highest standard in employee safety, community service and the protection of the environment. Chem-Tech Solutions is a fast growing supplier of environmentally safe industrial cleaners. Manufacturing is performed at our state-of –the art facility and sold under the Westech brand name throughout the United States to a variety of industries. The Westech formulation is environmentally and worker-safe for the cleaning of commercial vehicles, construction equipment, animal fats, water-based inks, adhesives and coatings. The demand for Chem-Tech products has increased the past several years with the trend for more non-hazardous, biodegradable cleaners that are safe for workers and environmentally friendly. 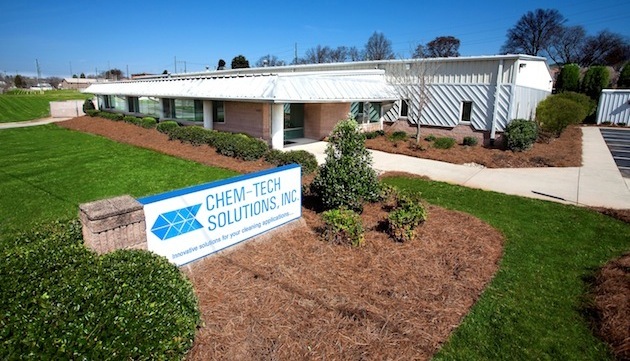 From one-gallon containers to a tank truckload, Chem-Tech Solutions can supply products that are specifically tailored to meet your needs with the highest standard in Quality, Customer Service and Protection of the Environment.